I read Sam Harris’s book, “Waking Up”, a few years ago and loved it. I recommend it to everyone. I have practiced meditation on and off for a few years now and have found it to be life-changing even without maintaining consistency. 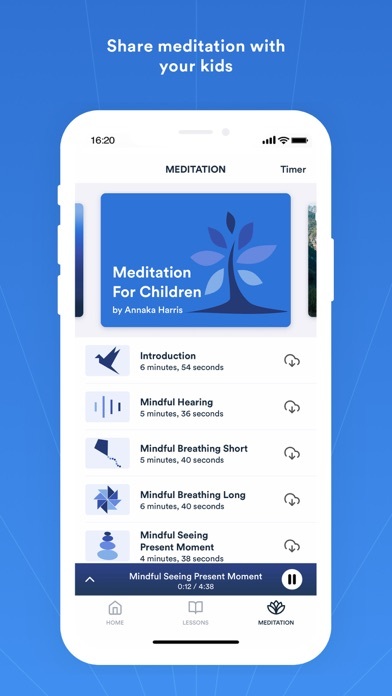 I’ve tested just about every free meditation app available, and a few have been useful... but Waking Up beats them all, hands down. Sam Harris’s guided meditations and lesson address so many of the questions and doubts I’ve had in my practice and in my life. I can not recommend this app highly enough. Mindfulness is the universal key to life. Over courses of my whole life I have tried finding that source of peace to get me through life. First it was religion, then self-medicating, now mindfulness meditation. Thank you Sam Harris for showing me a UNIVERSAL source of peace. 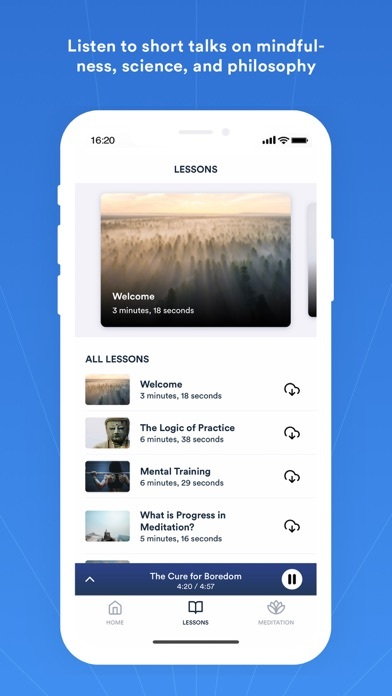 I’ve just started learning meditation and something about the way Sam Harris explains meditation really resonates with me, Sam will get you excited to do your practice. It already looks like it’s going to be an amazing journey. Thanks for such a great app. The daily meditation for Metta was great and now I see more meditations for Metta in the app! The guided meditations are fantastic and the lessons bring a great deal of clarity. As a result I am finding it takes much less time to move through thoughts on which I get stuck. 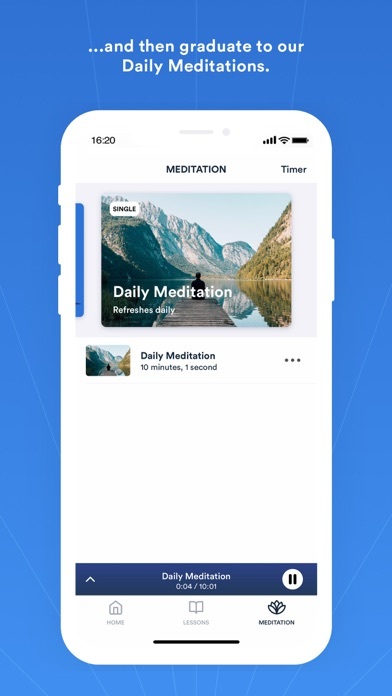 I’ve been able to stay present much more often as this app has brought structure to my practice, allowing me to integrate meditation into a whole manor of daily activities. Download it today, I can’t recommend it enough. If nothing else, the non-paid lessons and meditations are well worth a try. Very impressed with app and customer support!! This is great I look forward to exploring this app further! Fantastic app and one I can’t recommend enough. One feature request- would love to be able to save and “favorite” certain sessions. There are ones I would like to repeat and this would be a great way to build a collection of sits. 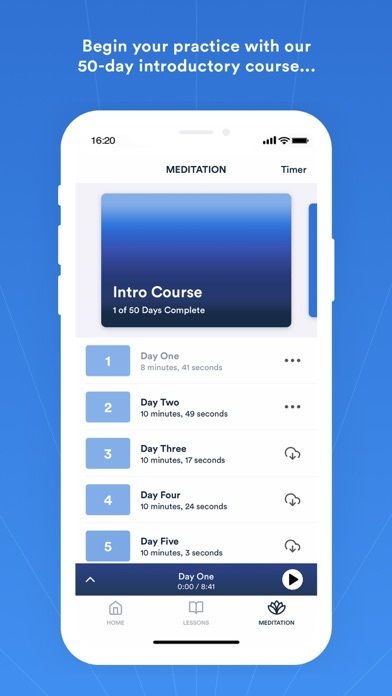 This improved my meditation in so many ways, And I have been using it for more than 100 days. I am always very hesitant to give my endorsement on anything. I made the commitment which is about 10 minutes per day. Today’s mediation began with Sam calling out someone at a TED conference who is his enemy. I am a loyal podcast listener and don’t mind hearing his gossip and gripes on a podcast, but give it a rest when I am trying to mediate. 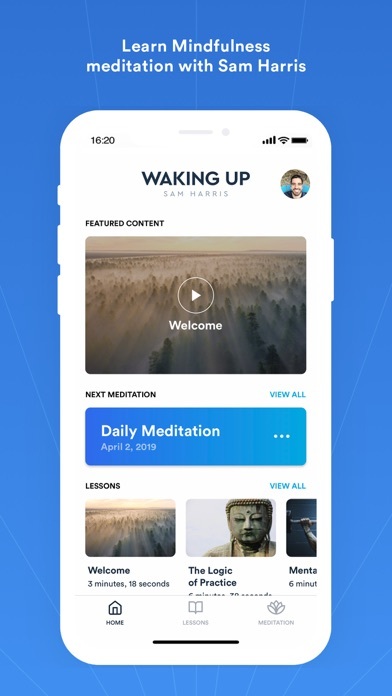 Thank you, Sam, for the Waking Up App. I look forward to each new lesson and, since I’ve finished the Intro Course, each new Daily Meditation. I listen to at least one lesson daily before my meditation. The Veil of Thought is my go-to, splash-in-the-face awareness thump on the head. The Intro Course is well thought out and clearly presented. It took me from just sitting and watching my breath to becoming aware of the full symphony of sensations in awareness. I tell everyone to get this App.